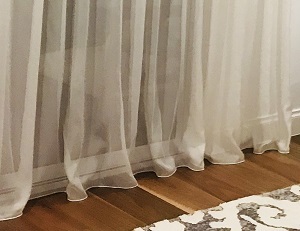 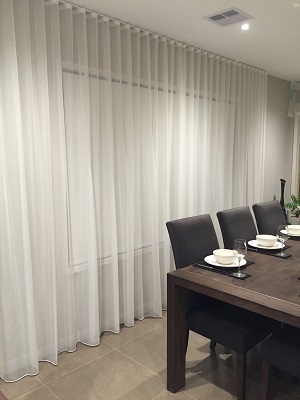 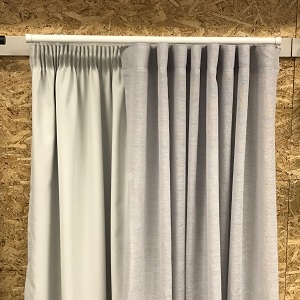 *Please note in a double curtain format, your blockout or room darkening fabric will always be made with a gathered heading as it sits at the rear. 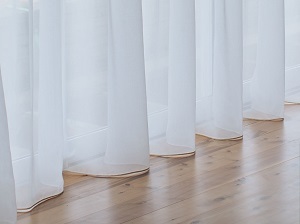 Your Sheer curtain will sit in the front and will always be made with an S-Fold heading. 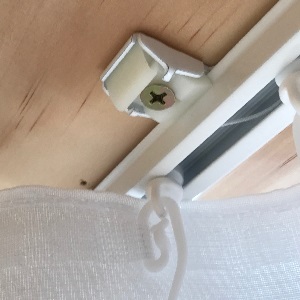 Your curtain tracks are attached to the ceiling. 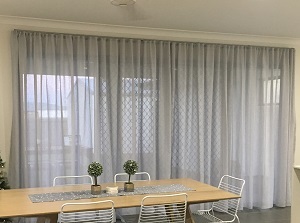 A popular choice, ceiling mounting your curtains will instantly add grandeur and height to your rooms and enable floor to ceiling coverage. 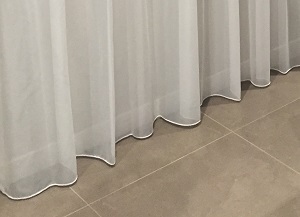 2 x separate Curved tracks will be supplied for a Double Curtain format. 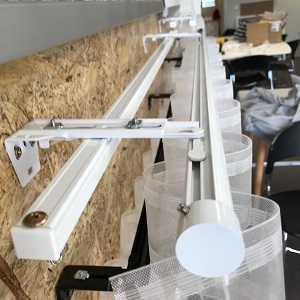 Standard ceiling mount brackets will be supplied for each track. 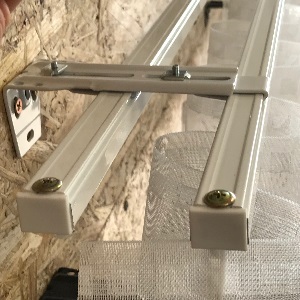 2 x separate Standard tracks will be supplied for a Double Curtain format for a Ceiling Mount. 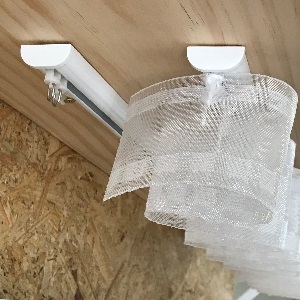 Standard ceiling mount brackets will be supplied for each track. 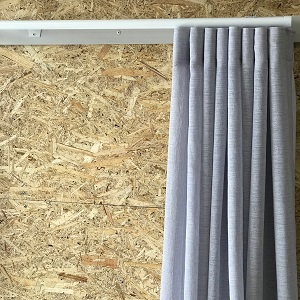 The Round track will sit in the front and hold the S-Fold Sheer Curtain. 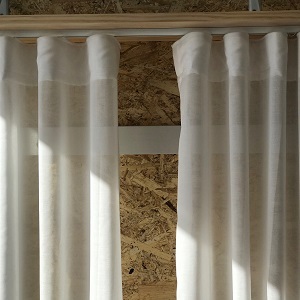 The Standard track will sit at the rear and hold the Gathered heading Blockout or Room darkening curtain. 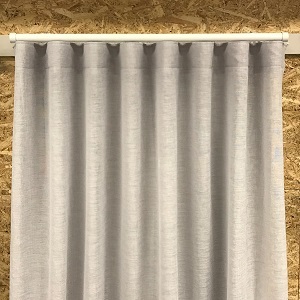 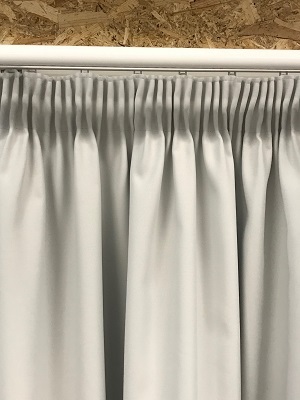 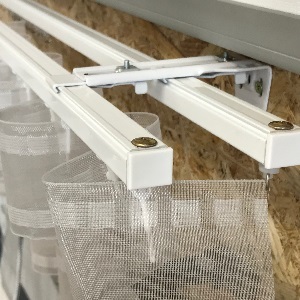 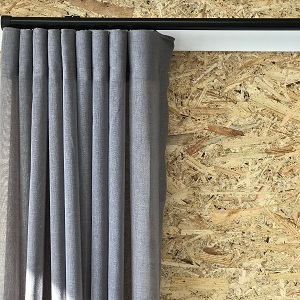 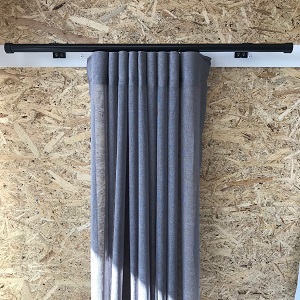 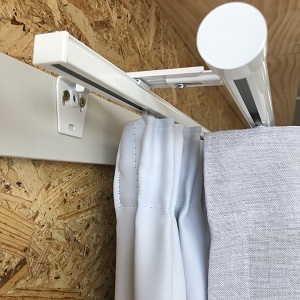 Double Brackets - Adjustable up to 90 mm clearance from the wall to the back of the curtain, extension brackets will enable you to come over the top of a roller blind or plantation Shutter ensuring full clearance for a beautifully hung curtain. 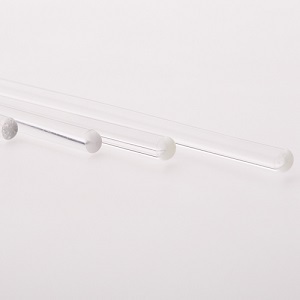 Centre or Free Floating opening - 4 x wands will be provided.